Providing One-on-One mentoring in the setting of God's majestic creation since 2003. 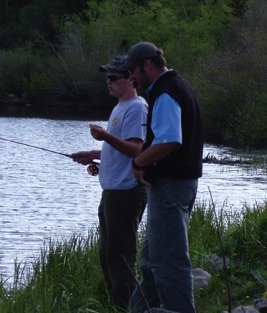 Majestic Outdoor Adventures, Inc. began mentoring before mentoring programs were the "catch phrase". M.O.A. has developed a program with lasting benefits, since the forefront of mentoring programs. Lives have been changed for the better because of the M.O.A. mentors who have poured love into the lives of fatherless and hurting youth. M.O.A. 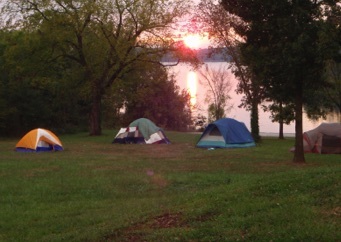 works with youth through weekly mentoring, discipleship, wilderness backpacking trips and/or through summer retreats. MOA intervenes in the lives of youth between the ages of 8 - 18. Due to their behavior and attitudes these youth are typically rejected by their families, peers, and society. 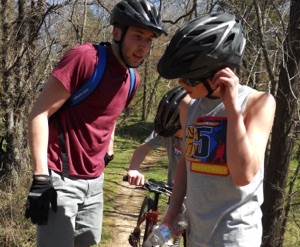 We expose these youth to dynamic outdoor learning activities while serving the needs of their body, mind and soul. MOA’s primary focus is not on the 99, but for the 1 hurting youth. This youth has been rejected and dismissed by teachers, peers, counselors, and other society organizations that cannot break through their disruptive lifestyle. We are possibly their last stop before entering the juvenile system. These youth are mostly unreachable in a group setting; therefore we meet the unmet needs of these youth through our mentoring approach in God’s outdoor sanctuary. MOA directly benefits a youth’s body, mind, and soul. Some of the target areas MOA seeks to assist with are: manipulative behavior, lack of motivation, relationship problems, lack of responsibility, family conflict issues, poor academics, lack of academic goals, esteem issues, disrespect, drug and alcohol influences, anger management and gang affiliations.